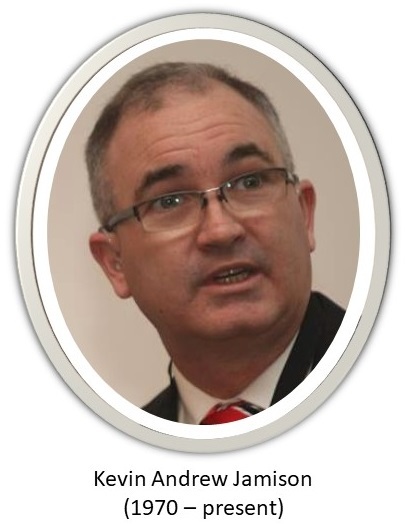 Our English pedigree refers to the ancestry of my husband, Kevin Jamison, who is an English-speaking White South African of mainly (but not only) British descent, with several ancestral immigrants arriving in South Africa from the 19th century onward. READ MORE on the ethnic and language diversity of the uniquely South African “rainbow nation”. 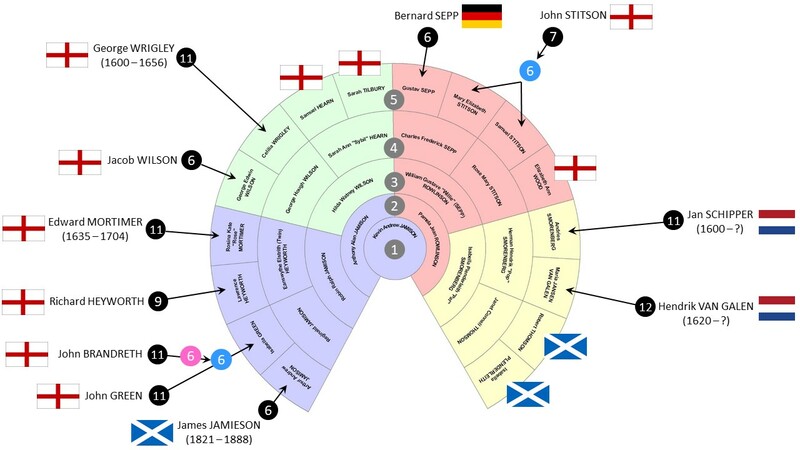 At a glance, Kevin’s lineage includes English (62,5 %), Scottish (18,75 %), Dutch (12,5 %) and German (6,25 %) origins, with 44 % of his total English roots coming from his father’s side. The ancestors of each contributing family line have been researched as far back as possible. Those traced further back than five generations include the English lines of Brandreth, Green, Heyworth, Mortimer, Rowlinson, Stitson, Wilson and Wrigley, the two Dutch lines of Jansen van Galen and Smorenburg as well as Jamison, the Scottish line and Sepp, the German line. Interestingly, by 1875, between 2.25 % and 4.5 % of first cousin-marriages in the population of Great Britain was observed. Its occurance was higher among the upper classes and lower among the general rural population.1 One such an example is seen in our pedigree between cousins Charles Frederick Sepp and Rose Mary Stitson.